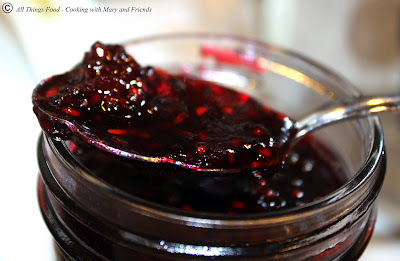 Nothing better than this Old Fashioned Blackberry Jam when those sweet summer berries are in season. We recently traveled to M&M Farms, located not too far from me in Turbeville, South Carolina. We had been referred to them by another farm friend, so I was anxious to go and see what they had to offer. Awaiting us when we arrived were gallons and gallons of just picked fresh blackberries ready for us to load into the car. 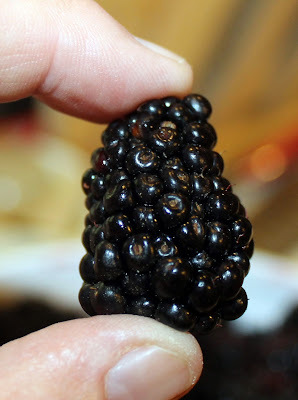 Huge, sweet and juicy ... blackberries. They are gorgeous! 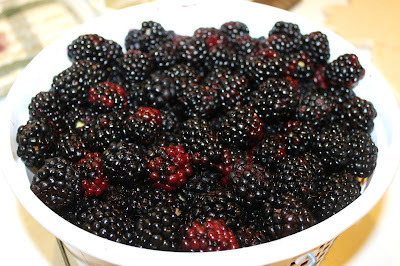 I knew right away I'd be making this blackberry jam! It's a favorite of my daughters, and one that's simply amazing spread on fresh toasted sourdough bread or English muffins. Did you know? The antioxidants in berries can help your body fight oxidative stress caused by free radicals that can lead to illness. Eating a diet rich in antioxidants can help improve your health, protect your skin and hair, and prevent certain diseases. All fruits and vegetables contain antioxidants, but nutrient-rich berries are some of the absolute best sources. When blackberries are ripe and in season, go get some and put them up in this delicious jam. 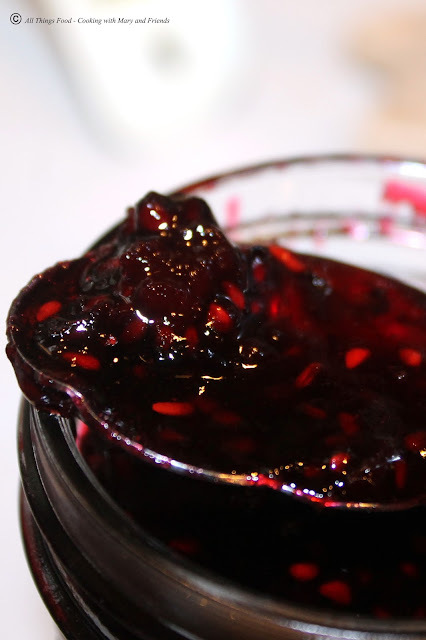 You can also make a great Blackberry Balsamic Barbecue Sauce following my recipe using blueberries, just substitute an equal amount of blackberries. 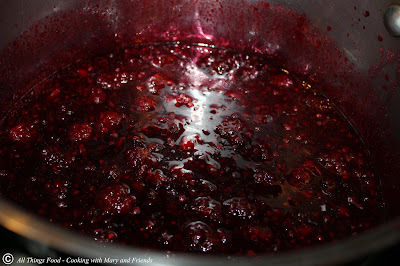 Place berries, Sure-Jell and butter in a large stock pot. Bring to a boil over high heat, stirring occasionally. Add sugar all at once and return mixture to a rolling boil (one that doesn't stop while stirring). Stir constantly and boil hard one (1) minute. Remove from heat and ladle jam into prepared jars leaving 1/4" head-space. Cover jars with lids and seal with rings. Process jars 10 minutes in boiling water bath. Remove jars and let cool on a kitchen towel on your counter top 24 hours undisturbed. Store on pantry shelf up to one year. Open jars must be refrigerated.